Blue & silver Art Deco mirror photographed in our studio, just outside of Detroit. 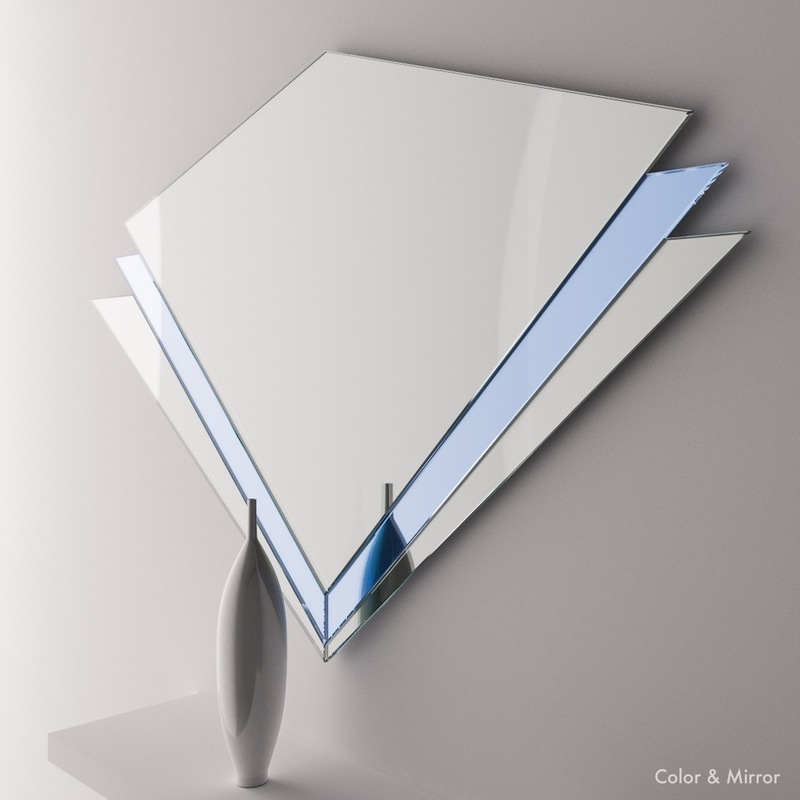 Art Deco glass mirror with angular flamboyance. This piece was created to compliment a movie theatre and entertaining area in a residential home.